Roomy approx. 2500 sq. 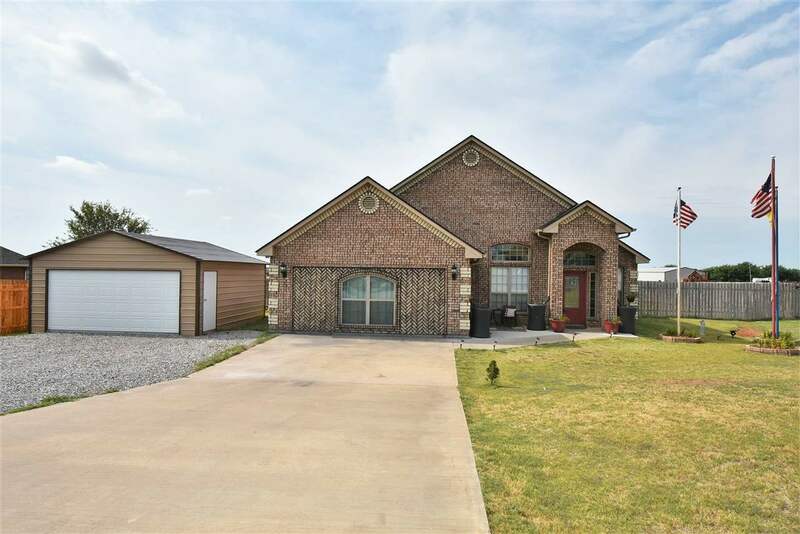 ft. home with 5 bedrooms or 4 with a bonus room plus new detached 20&apos; x 20&apos; garage with concrete floor, electricity, overhead door (garage opener to be installed), and walk thru door all on 3/4 acre lot in Elgin School District. This home has many updates to include new roof, new outside HVAC unit, and new laminate flooring in the kitchen, dining, sitting area, and hallway, and new carpet in 3 bedrooms and living room. Home has spacious living area plus separate sitting area. Kitchen is open to the dining area and features black granite countertops, custom built Oak cabinetry, large breakfast bar, and stainless appliances. Eat-in dining has French doors that lead to the patio that is covered and yard is fenced. Home also has blinds throughout, security system that is rented thru Vivint, and security cameras that are owned and stay with home. Seller is taking the storage shed, fireplace, and side table in kitchen. Dining Room Size: 15&apos;8" X 10&apos;10"
Kitchen Size: 16&apos;3" X 12&apos;4"
Living Room Size: 21&apos;3" X 19&apos;10"
Master Bedroom Size: 15&apos;1" X 11&apos;9"
Utility Room Size: 6&apos;6" X 5&apos;7"